Mid-Argyll: A few highlights this morning included: a Slavonian Grebe at Loch Gilp, 2 Black-throated, 2 Red-throated and 5 Great Northern Divers in Loch Fyne (from Brenfield point), 17 Great Northern Divers, 4 Goosanders, 6 Common Scoters, a female Pintail, 58 Goldeneye, 94 Mallards, 1 Shelduck, a juv Iceland Gull, m Sparrowhawk, 1 Carrion Crow, 1 Grey Wagtail, 16 Rock & 12 Meadow Pipits, 80+ Chaffinch, and 1 Twite at Ormsary/Loch Caolisport (Jim Dickson). A lone Waxwing was spotted in Connel this afternoon (Mike Harrison). North Argyll: 28 White-fronted Geese at South Ardnaclach (North Shian) were best birds on today’s WeBS, 4 of them had neck collars (Robin Harvey). Cowal: A male Goldeneye off the Coal Pier Dunoon. First one we’ve seen here! (Cherry Cook). 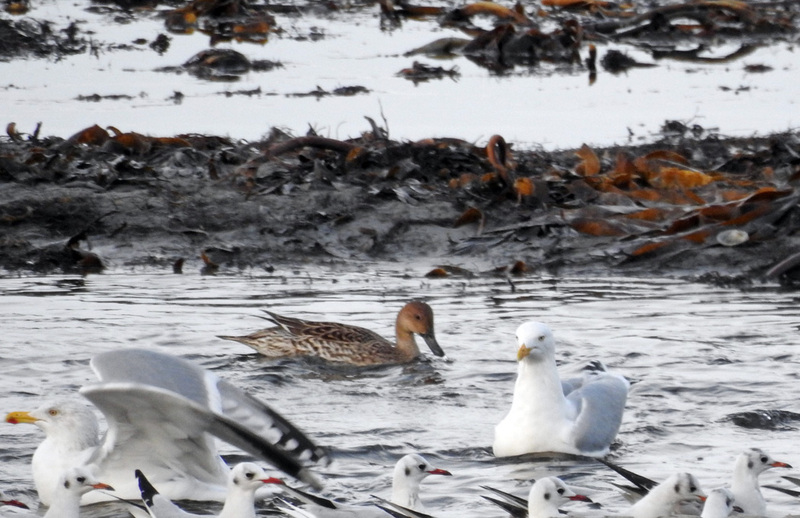 Tiree: Drake Green-winged Teal at Loch Bhasapol this afternoon, a juv Glaucous Gull at Rubha Chraiginis, 1f Common Scoter,1 Shelduck and 260 Sanderling (including 5 leg-flagged birds) at Balephetrish Bay. 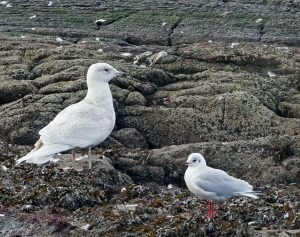 No further sign yet of white-phase Gyrfalcon reported on 4 Jan (John Bowler). Iceland Gull – Ormsary, Mid-Argyll 14 Jan (Jim Dickson). 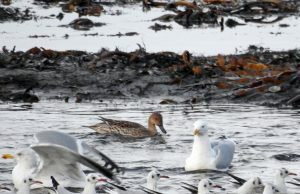 Pintail – Ormsary, Mid-Argyll 14 Jan (Jim Dickson).